Cinemagical Media works with nonprofits, companies, foundations and entrepreneurs to create films, craft campaigns and produce media strategies with bravery, courage and heart that bring messages alive and inspire social change. Change is the promise of something (better). Are you bringing benefit to the to world? Do you feel passionate about what you do? We want to help you make good work. Explore our portfolio, and get in touch. Let’s make good work! Cinemagical Media was founded by independent filmmaker Kirthi Nath. Kirthi will be your personal creative media catalyst and when additional crew is needed, she works with a network of trained professionals who are part of the Cinemagical Media network. Kirthi Nath is a filmmaker, educator and creative professional who believes that ordinary people ripple extraordinary change. As founder and lead filmmaker at Cinemagical Media, Kirthi works with nonprofits, companies, foundations and entrepreneurs to create films that support individuals and communities to ‘be the cause that creates the effect’. 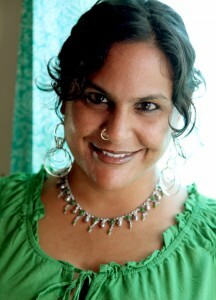 Kirthi’s work has featured cultural visionaries and global campaigns such as Eve Ensler, Tara Sophia Mohr, Sisters of Perpetual Indulgence, One Billion Rising and V-Day. In addition to filmmaking, Kirthi offers business and personal coaching, experiential workshops, talks and meditations that help people connect with their inner wisdom, foster loving presence and awaken wonder. Trained as a filmmaker, producer and educator, Kirthi has over 20 years of professional experience using media, technology and storytelling to connect diverse audiences with positive social change, creativity and cultural experiences. Many confluences guided her to this path. Some highlights include her early educational days as an undergraduate at UC Berkeley followed by getting her MFA from UC San Diego’s Visual Arts Program and then working for over a decade with numerous Bay Area media arts and technology organizations. While at Bay Area Video Coalition, Kirthi produced numerous award winning films, developed and managed cutting edge media training initiatives, and mentored over 300 hundred next generation media makers. As the multimedia producer and social media coordinator for Not in Our Town (NIOT), Kirthi played a pivotal role creating content optimized for social sharing and helped articulate and amplify NIOT’s mission to highlight communities working together to stop hate. Through this lens, Kirthi witnessed first hand how powerful and potent media, technology and storytelling can be for change; the kind of change that lets us thrive in our lives and also brings the promise of something better. Fueled by inspiration and experience in the field, and impassioned to support other change agents, in 2012, Kirthi founded Cinemagical Media, a media production company that creates web videos, media strategies and trainings for socially responsible companies, non-profits and entrepreneurs committed to social benefit. Community engagement is a core value for Kirthi – she regularly serves on advisory boards, grant panels, film curation committees, and teaches at local universities. Additionally, Kirthi makes her own films. Current projects include a collection of stories about women of color leaders, creative presence and modern day mindfulness.